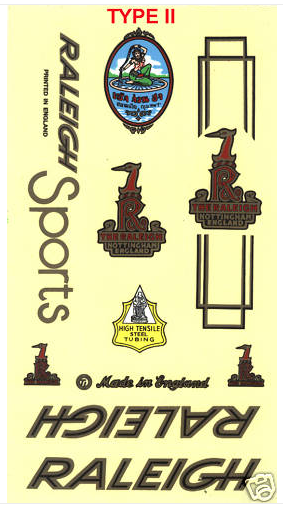 Ordered some decals for the Raleigh project, had some coming from Thailand, they arrived, were the wrong type. So now waiting for the right type to arrive. The good news is that the wrong versions I can use on another Raleigh project. 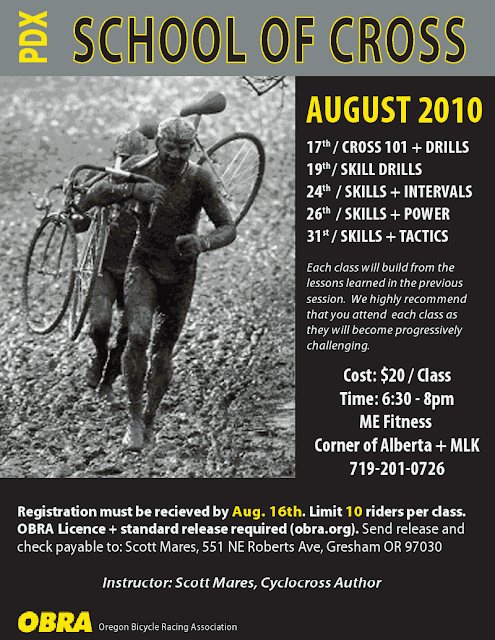 Any good websites on the dates for the Spring Classic races in 2011? Will be there from 4/19-4/26. Anyone out there have any viewing tips? They even are set up with Cyclocross gears: 46/34. Some of those Stronglight's used their own threading for the crank removal which is a pain. I might be in Belgium in April of next year! Pretty cool, here’s a link to the Capricorn website, any Minneapolis readers have one? Found this website called Wordle: "Wordle is a toy for generating “word clouds” from text that you provide. The clouds give greater prominence to words that appear more frequently in the source text." 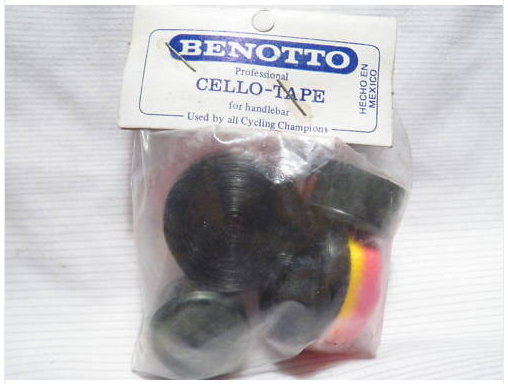 I think this Benotto Belgian tape looks awesome in the package. But I can't imagine a bike it would actually look cool on. Thought I'd post this build list with prices and sources for the Raleigh Grand Prix I'm working on. I create a spreadsheet like this every time I build a bike. It helps to know what you spent on something when it comes to selling it. Also, having a break down of the specs is nice. I use Google Docs. The blue bar means I haven't bought that part yet. You could also make a column for part weights and weigh everything beforehand. I'm not tracking individual part weights for this build, but am keeping a tally of total weight changed. Hey, really enjoy your site. 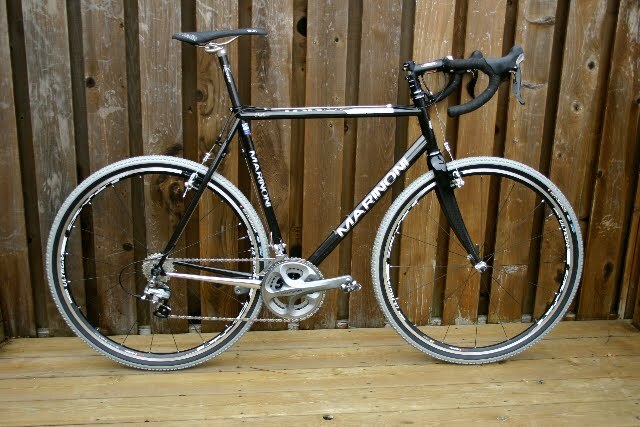 Just built up a 2010 custom Marinoni Fango cross bike. 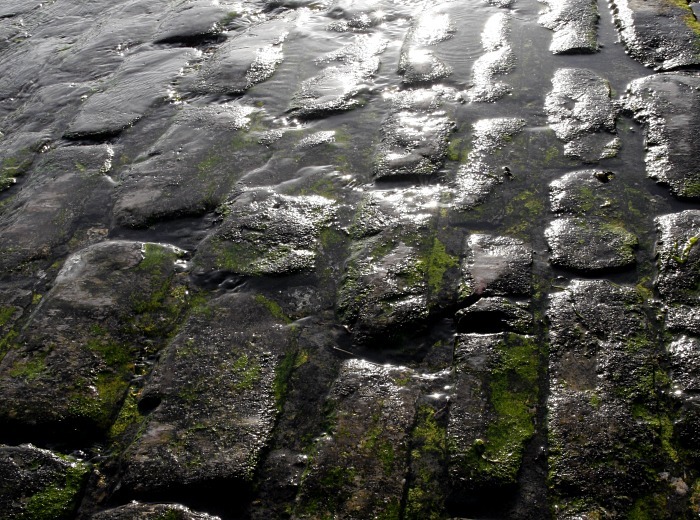 Thought I would send you the details and some pics to maybe include in your site. Cheers, Josh. 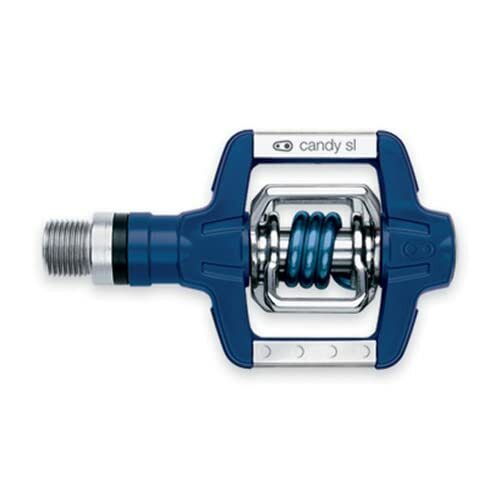 Crank Bros Candy SL's on sale! Just grabbed a pair of Candy Sl's in blue for $46.20 plus $4 shipping. Tough to find a pair used at that price. Going to look pretty cool on my blue bike. For the doubters/haters out there, check out the tire clearance! These are 700 x 35 tires, but in your defense they actually only measure 30mm wide. 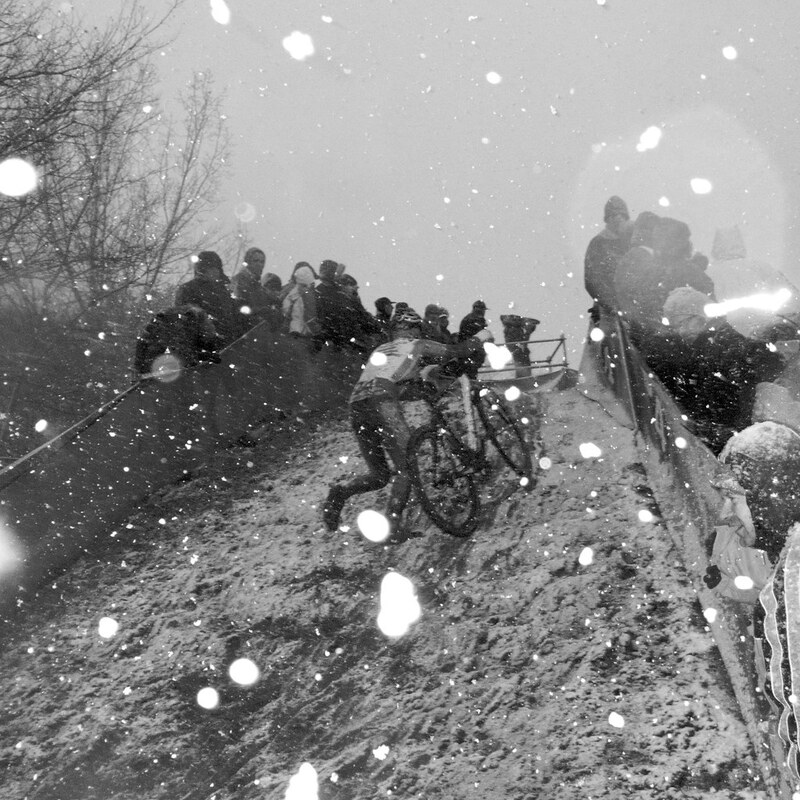 But this is CX not mountain bike racing. Can someone remind me why centerpull brakes aren't more prevalent? They stop really well after putting new pads on and a hell of a lot easier to set up than cantilevers. Still hunting for a pair of bar end shifters, will probably use SunTour's. 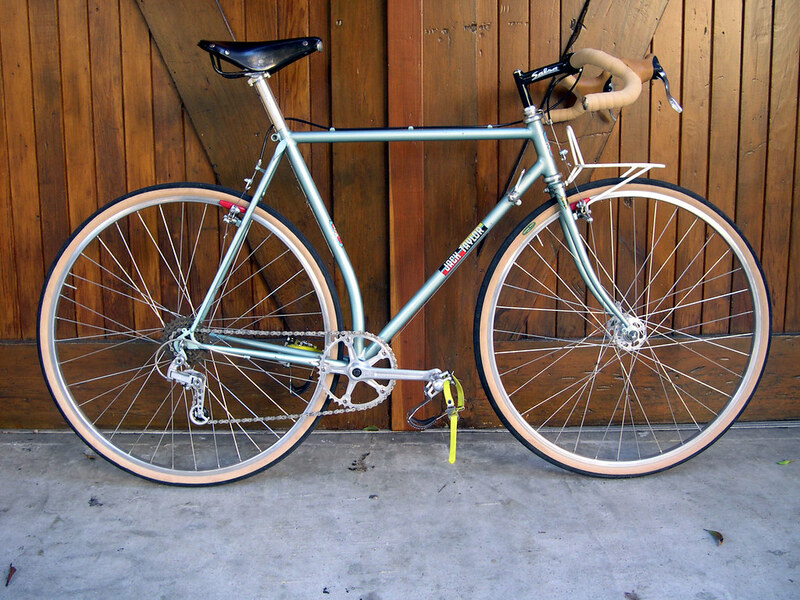 Need an 8 speed cassette and a chain and a set of mtb pedals and I'll be set. 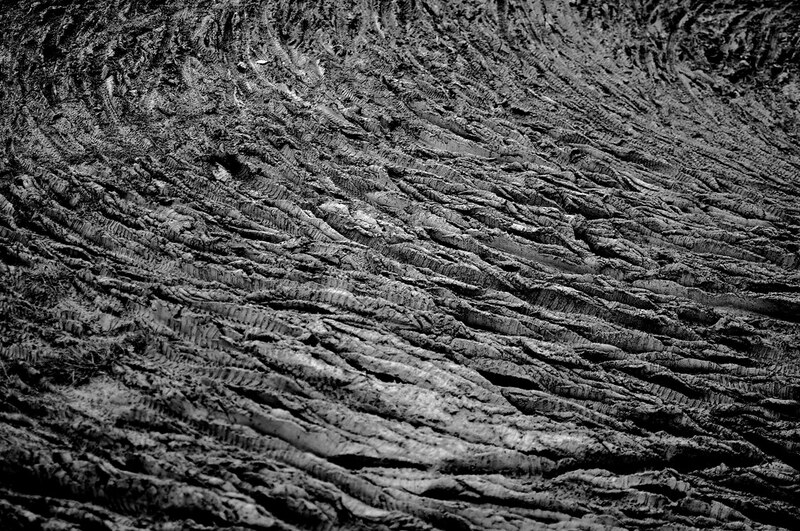 A few times a week, ride off road to work and back, instead of on the road (luckily I have the environment to do this). Need. Upper. Body. Conditioning. Plus the double training dose of Human Growth Hormone, or whatever my own legal and natural product is, won't go amiss. I’m planning on heading up to Folsom Lake this weekend, to putz around on some of the trails and fire roads up there, maybe practice some dismounts too. 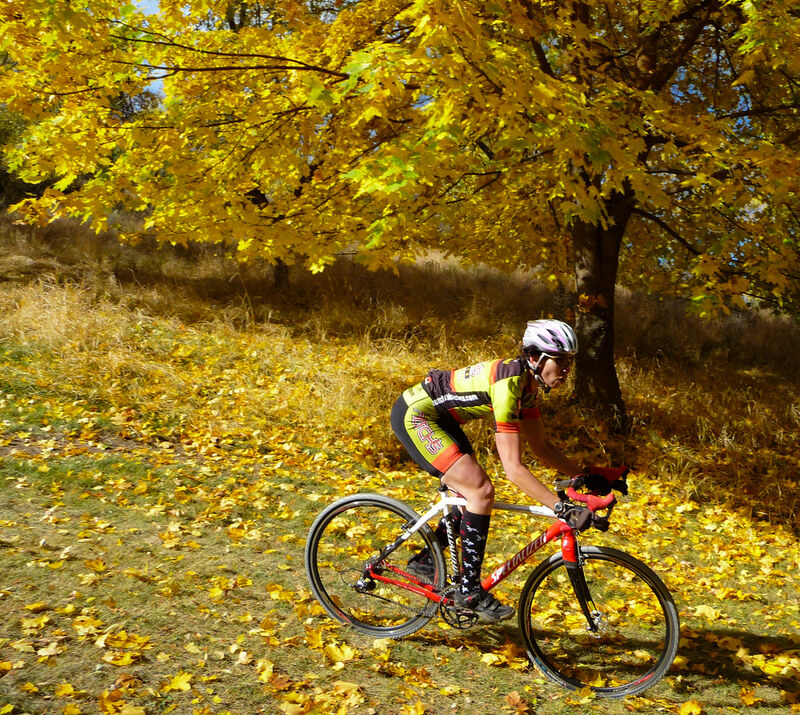 advantage for the winner of StarCrossed (Single Speed)." 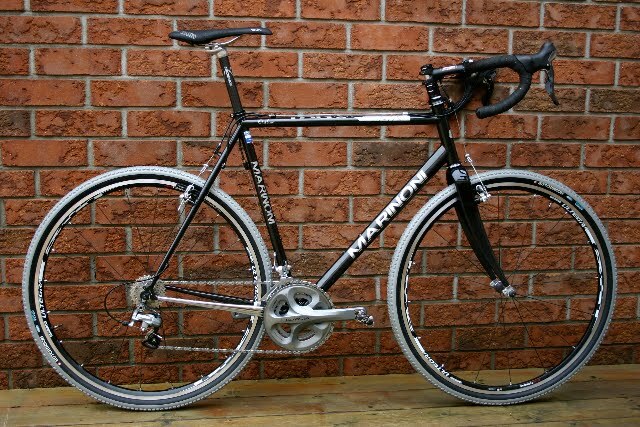 Saw these on eBay today, now I want to build a CX bike-----could be geared or SS. Velo-Orange has some really interesting parts and can be a great place to find unique new parts for a bike thats being restored. 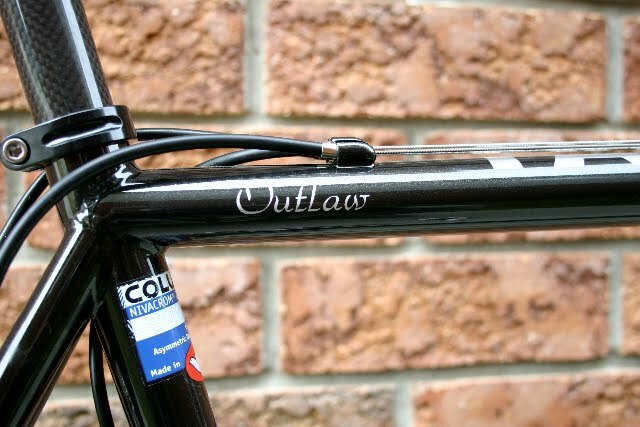 I've bought a number of parts from them in the past for various builds, and even put their square taper BB on my Cervelo P3 triathlon/time trial bike. With that said, their prices and products can be ridiculous. 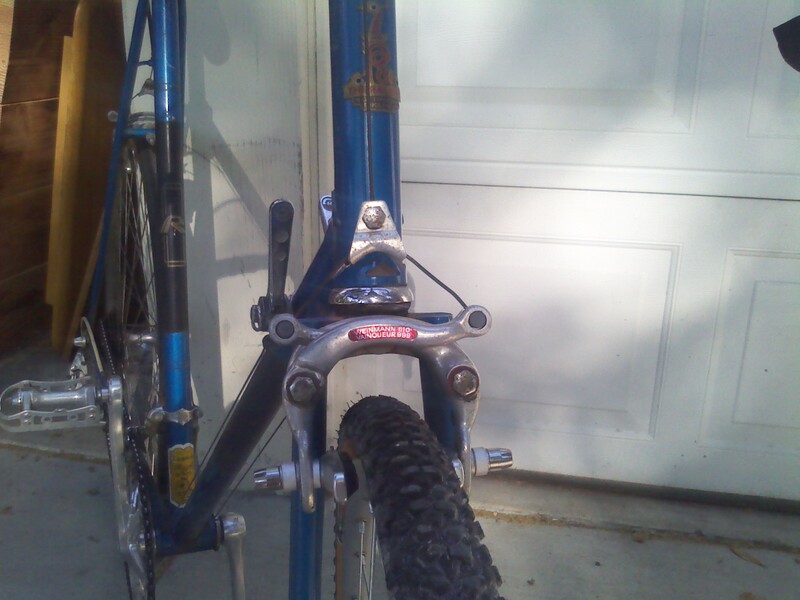 Take this centerpull brake for example (image above): link $150 for a pair? This looks identical (as I'm sure it's supposed to) to a Mafac Racer brake. This is all well and good (this isnt a rant on copyright infringement) but $150?? This set of Mafac Racers just sold on eBay for $30 shipped. These brakes sell all the time on eBay and at your local bike co-op. 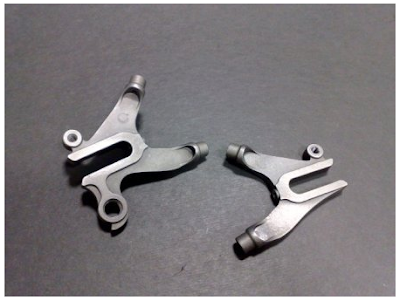 While Paul components may have started the trend of tweaking a tested design (of another Mafac brake) and tripling the price, at least Paul improved upon the design in a major way allowing for more adjustment. I understand that having parts made and importing them can be an expensive process, but why recreate parts that are easily accessible and thus not too expensive? A pair of 700c Dura Ace/Open Pro wheels are now mine! This is possibly one of the best sets of wheels out there. 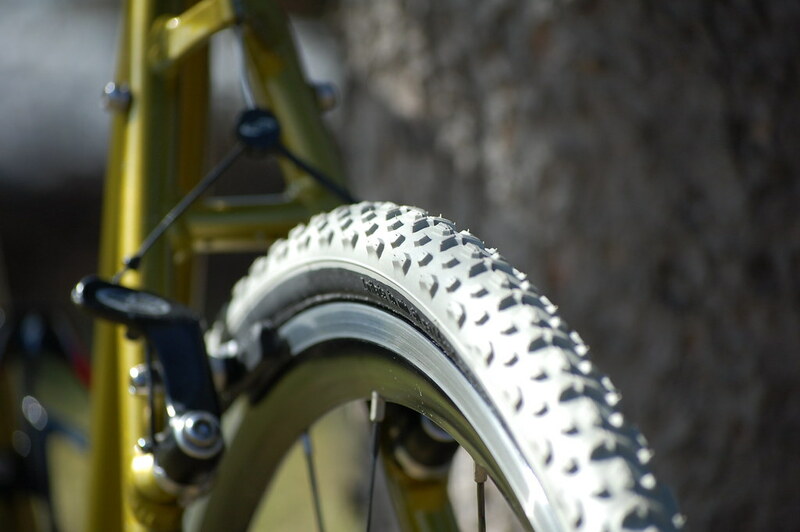 The wheelset is at home in a group ride or a cross course. 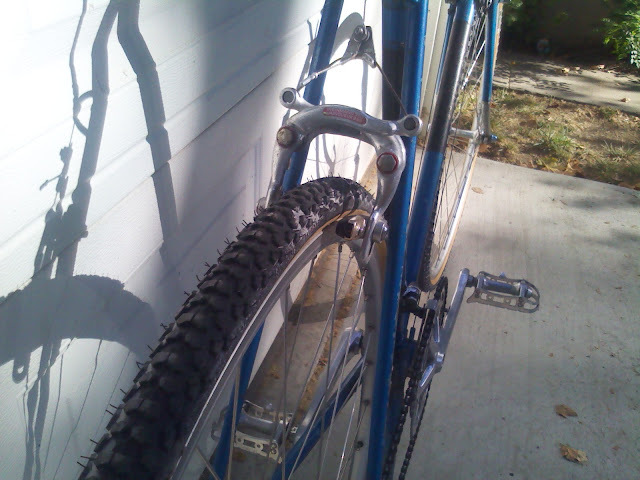 Because they are 700c (smaller than the 27" wheels that the Raleigh came with) I'll have more clearance for wider tires. While I think 32mm is a wide enough tire for cyclocross, I'll be doing some MTB duathlons on this thing too so I'm planning on getting either 700x34 or 700x35's. The best part is I paid $60.